Welcome to the first installment of The Situation Report, a weekly column by MeriTalk Executive Editor Dan Verton that takes an honest and discerning look at the programs, policies, and people behind government information technology. When does a call to service cross the line and become an exercise in groveling at the feet of a generation of workers who by many accounts demand to be coddled, pampered, and delivered to the C-suite free of scars and ahead of schedule? OK, that’s a little harsh and somewhat of an exaggeration, but it comes pretty close to the prevailing perception of the millennials who make up today’s civilian technology workforce and tomorrow’s government IT leaders. But what’s more troubling for this son of the Greatest Generation is the extent to which our nation’s current Secretary of Defense, Ash Carter, accepts this characterization of the technology workforce and the lengths to which he is willing to go to accommodate their every whim. Carter has spearheaded a massive Pentagon effort to reconnect with America’s technology industry—a much-needed initiative designed to enlist Silicon Valley in the great struggle to maintain America’s technological superiority. But a major part of his effort for the past year has focused on giving government service—particularly Defense Department jobs—a head-to-toe makeover. He’s like a dating coach trying to teach the awkward government bureaucracy a few moves. Well la-di-da, Mr. Secretary. The Marines I served with and the rest of the men and women who wear or have worn the cloth of our nation are surely happy for them. In fact, if millennials can pull off that kind of life during the troubled times we find ourselves living in, then I say more power to them. But what about the sense of service? My Marine Corps recruiter didn’t promise me a rose garden, so why are we bending over backward trying to buy the loyalty and honor of an entire generation of workers? If they don’t already come with a desire to serve something bigger than themselves, are they really the type of people we want supporting our troops? Of course, the Defense Department didn’t start this trend. Former U.S. Chief Technology Officer Todd Park is largely responsible for producing the nation’s first crop of high-tech volunteers to join the U.S. Digital Service movement. And at USDS, they use the language of national service without all of the strings that typically come with signing on the dotted line. The USDS website talks about “tours of duty” and being able to tell stories to your grandchildren about that time you coded for two days straight to rescue Healthcare.gov. As absurd as that might sound, it is the language of a new generation that has to be convinced that service is in their self-interest—even for just a couple of years. This is all very troubling. Does the government need to be an attractive place to work? Yes. But should service to our nation have to be sold in a way that creates a revolving door without end that lacks continuity and leads to more frequent brain drains? 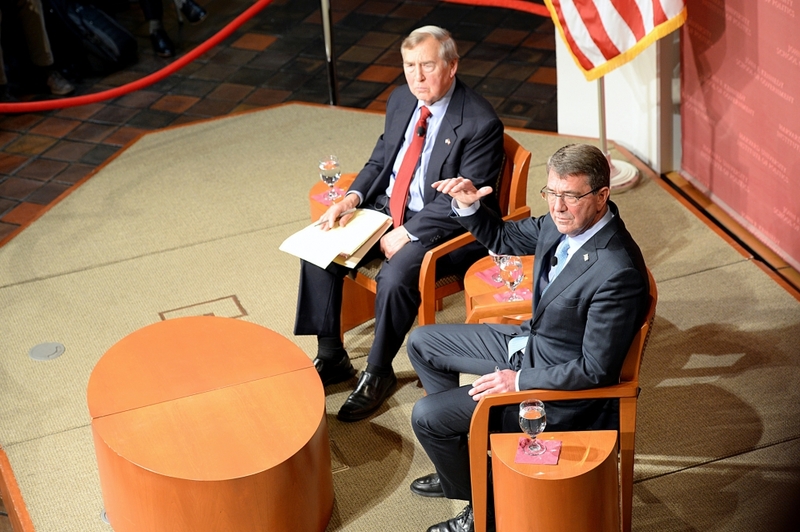 And when it comes to attracting the next generation of technology workers to national service, Carter’s overriding concern is simple: “Can we connect to that generation?” he asked. A different question might be: Do we want to?